As many of us well know, getting a good nights sleep can be a challenge. Aside from factors such as unusual work schedules or new parenthood, insomnia is reportedly one of the most common sleep problems. For every person who has a problem with sleep, there is another person with some advice or something they should try to fix the issue. But obviously, it's not that simple. Or is it? The folks at Moona have what they feel is the perfect solution. Their mission at Moona is to help those who struggle with sleep, as according to their statistics it affects one-third of adults in the United States. And it's not just a matter of people feeling tired all of the time or missing out on things in their lives, which quite honestly is bad enough. But more importantly, not getting an adequate amount of sleep on a consistent basis has serious health consequences, as well. It also obviously can affect relationships and work productivity. For all of these reasons, they've worked to find a better solution and through their research, they found that temperature is actually a key factor in sleep quality. And if this sounds odd to you, just think about how many times in your life you have flipped your pillow over to get to the cool side. Some studies have shown that lower temperatures in the area of the head and neck actually help people to not only fall asleep more quickly but also stay asleep longer, reaching a deeper level of sleep. It is based upon this research that they developed their technology. Moona is a smart system with a pillow pad that is inserted on top of any pillow. 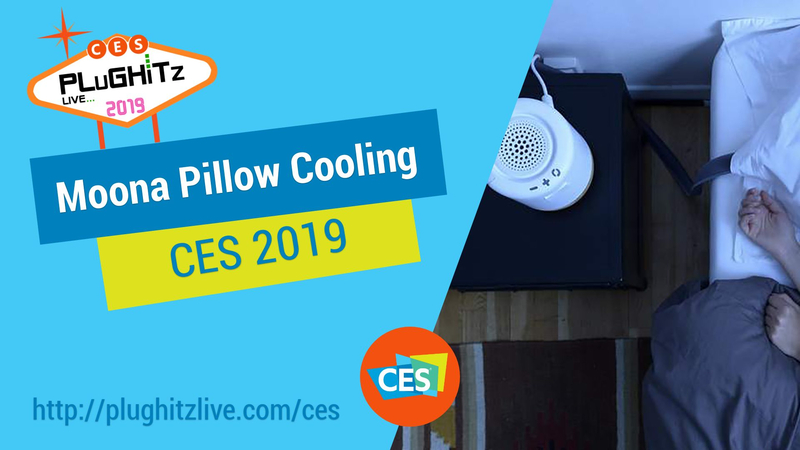 It is connected to a bedside device with a pump that continuously circulates water through the pad to help keep this important head and neck area cooler, and thus allowing for better sleep patterns. Now, they realize that merely having this cooling technology is not enough because it's not a "one size fits all" kind of solution. Every person is different, so along with the cooling pad is the ability to customize the user settings to your exact specifications. You'll be able to set the perfect fall asleep temperature, stay asleep temperature, and even the perfect wake up temperature for you. That's right, you can program it, right from a phone app, to gently help wake you up on the morning by warming up. Temperatures can be customized and preset from 70 to 97 degrees. They have also tested the product for durability, so you will not need to worry about any leaking no matter how restless you are when you sleep. Moona is expected to retail at $399, but for a limited time, you can get a discount of $100 during their preorder campaign. After you've watched the interview, head over to their website to get more information and order one for yourself.